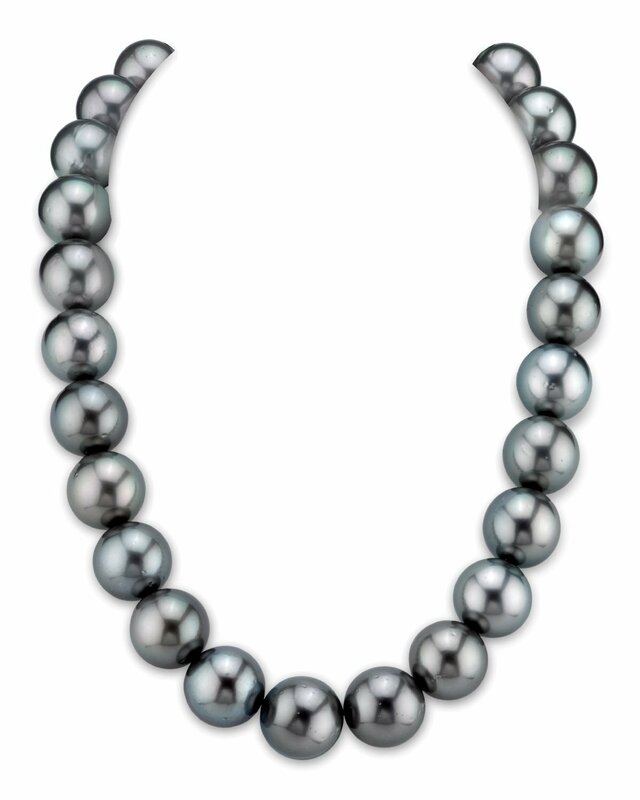 This exquisite Black Tahitian South Sea pearl necklace features 15-16.6mm, AAA quality pearls hand-picked for their radiant luster and gorgeous overtones. This necklace comes packaged in a beautiful jewelry gift box with a complementary pearl care kit. I have bought two strands of pearls for my wife. The first strand was 13-15mm Golden South Sea pearls. 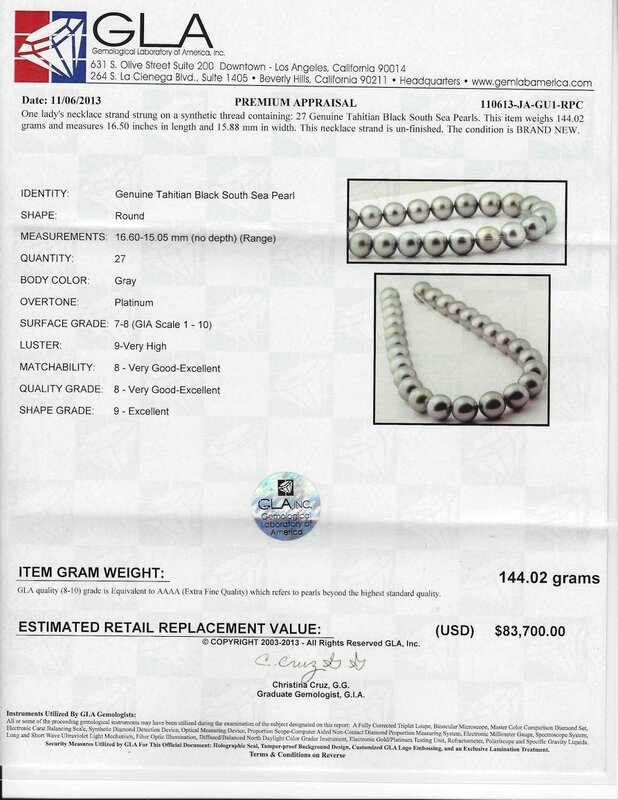 The second strand was 15-17.5mm Black Tahitian South Sea pearls. Both strands were absolutlely georgous.